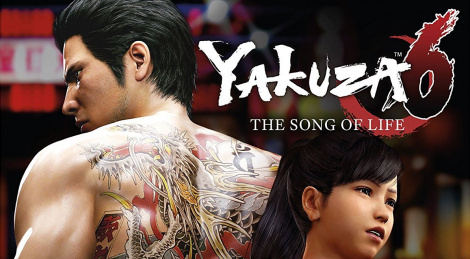 Kiryu's saga comes to an end with the release today in the West of Yakuza 6: The Song of Life. SEGA in partnership with Liquid Advertising has released Stories of the Dragon: The Legend of Kazuma Kiryu, a collection of live action short stories each inspired by a substory from the franchise. Jump inside for the three chapters. "short stories each inspired by a substory from the franchise"
so basically those are game chars? With the delay i hope sales won't suffer because of of god of war. It should ve been released on a different date. Probably the developer team got in the last couple of years higher and higher budget, due to their "success" especially in JPN. But i get what you are saying. I ignored the PSP Kurohyō Releases (Syn Sophia was here also involved). Honestly i think it shouldn't matter that much. Yakuza Series haven't been a Major Game Release such as GoW, GT and so on. Mostly it's fans of the series who buy the game anyway. Newcomers will probably buy the game once they have nothing "new" on their shelf at home (if they are even interested in this kind of game). Or if a friend suggest to buy it and so on. At chapter 3 at the moment, loving it so far. But it's a Yakuza game, so that's only natural. I don't know why you would. Just like Sonic Generations, classic Sonic is too small FOR the levels. He looks absolutely ridiculously small compared to his surroundings, enemies, power-ups and launchpads. It Sonic I Shrunk the Hedgehog lol. The ONE potentially good thing about modern Sonic games and they screwed it up, TWICE. You didn't have to actually humour him, he was clearly trolling. 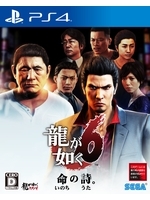 We finally get the 6th and final game in the story of Kazuma Kiryu and that is considered "milking" lol? There are FAR worse gaming sins of milking out there and we all know it.